Part of our 2016 Broken Frontier ‘Six Small Press Creators to Watch‘ line-up, Emily Rose Lambert has already made a name for herself as the winner of the over-18s category in the 2014 Thought Bubble Comic Art Competition and her subsequent publication in the Image Comics Thought Bubble Anthology in 2015. 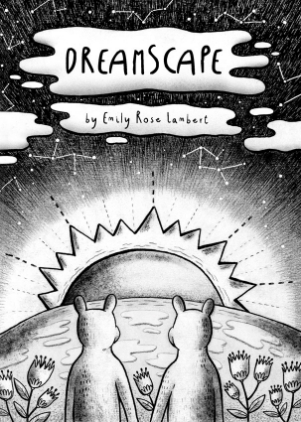 Lambert has also featured in renowned anthology initiative Dirty Rotten Comics and is part of the Big Brown Eyes Collective alongside her sisters Karis and Freya. 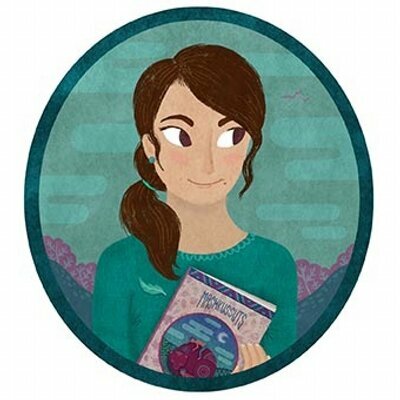 ANDY OLIVER: As a newer name on the self-publishing scene can you tell us about your background in illustration and what attracted you to sequential art as a medium to work in? 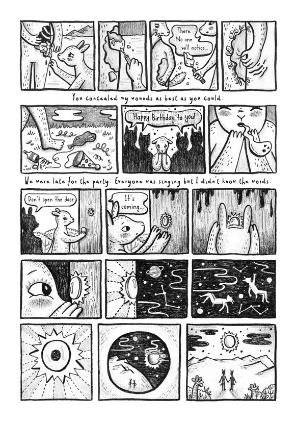 EMILY ROSE LAMBERT: My early comics, before going to university, were often just personal; most often sent as birthday cards to friends and family. 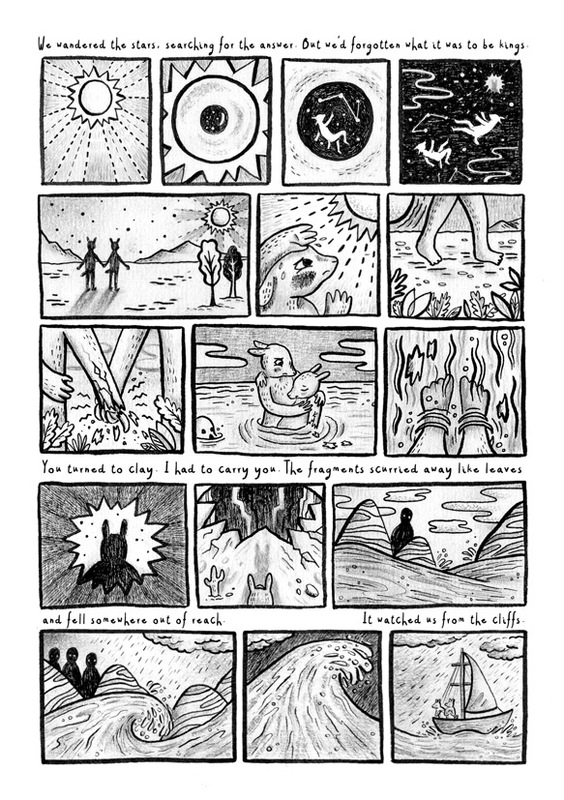 It wasn’t until my foundation course at college and my subsequent illustration course at Loughborough University that I rediscovered sequential art and saw it as a way to explore narrative in the form of comics alongside my illustration work. 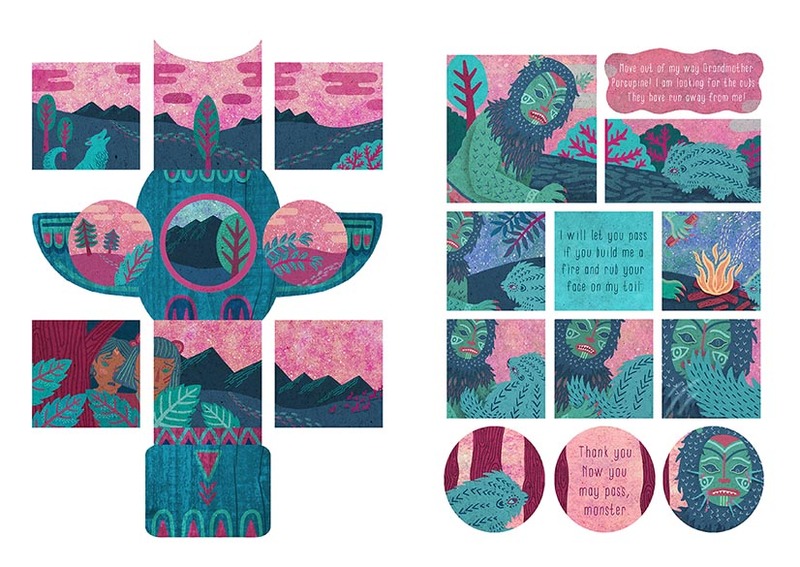 Whilst developing my illustrative style during this time, I also discovered the Nobrow shop in London (that sadly no longer exists) which was a bit of a creative catalyst and an epiphany for me I think! 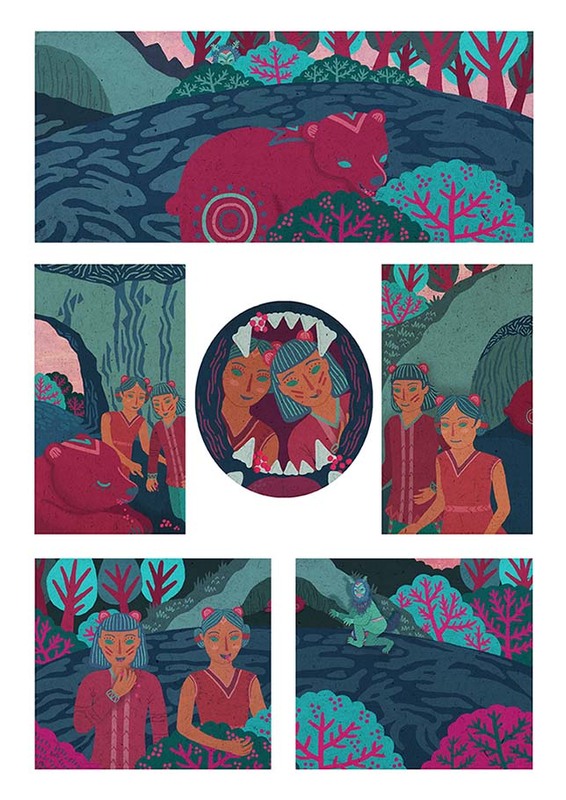 Discovering comics with a more unique illustrative style and selective palette like those by Rob Hunter and Jon McNaught really inspired me. I started going round fairs like ELCAF and Thought Bubble and loved the atmosphere and the people I met there and just thought… that’s what I want to be part of! I first discovered your work in the pages of inclusive anthology Dirty Rotten Comics where your story ‘Dreamscape’ was originally published. How important a step was that for you – not just in terms of getting your work out to a wider readership but also in making links with the small press scene? For me it was just a great achievement being published somewhere! I was quite wary of showing my early comics at first, but I met the lovely guys at DRC at the Bristol Comic and Zine Fair who invited me to submit to their next issue. I was nervous about the reception ‘Dreamscape’ would get – with it being a bit of a surreal experiment compared to my usual work – but I’m so happy it ended up being part of the anthology. Knowing that my work was alongside other artists (both established and new to the scene like me) for the first time, going around fairs as part of the small press scene and being reviewed, gave me a sense of achievement and motivation to start submitting to other anthologies again and eventually start self-publishing my own work. You published Dreamscape in an expanded form last year (more below). It’s a comic with a rather different premise in terms of its narrative. Can you elaborate on its origins? 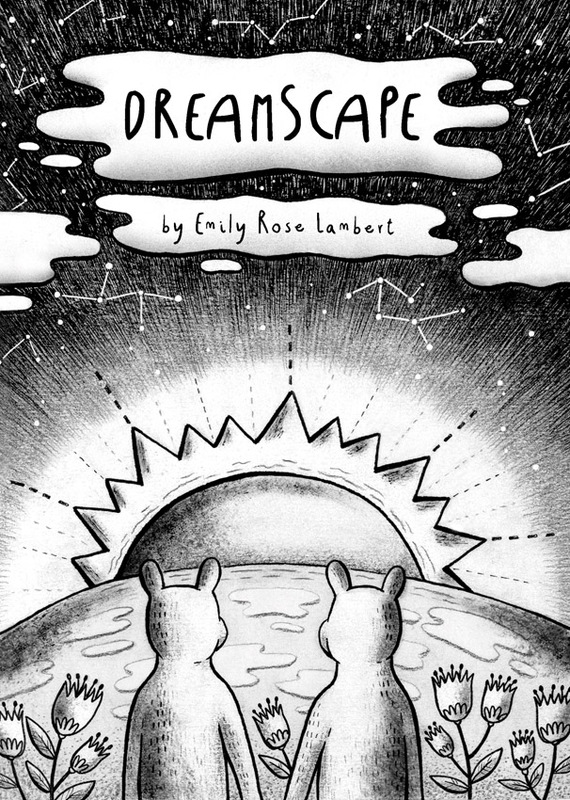 My Dreamscape comic started as a dream diary. I jotted down the weirder, unsettling and more memorable dreams I had, originally planning to turn each diary entry into a separate comic of a few panels each. However, once I had compiled a few together, there seemed to be parallels and connections between them which lent towards a single narrative. 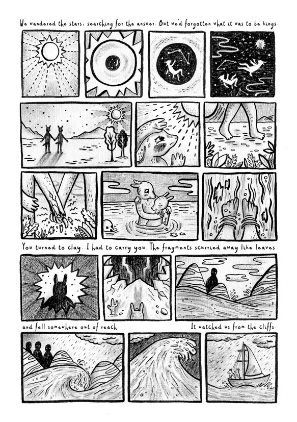 The short version that I submitted for Dirty Rotten Comics put across my idea, but I wanted to incorporate more elements from my dream diary to form an expanded narrative and explore the theme further; reflecting the disjointed nature of dreams, the way the landscape changes, how things are left hanging without a resolution and don’t quite fit together or make sense. Big Brown Eyes is the name of the collective you formed with your sisters Freya and Karis in 2015. 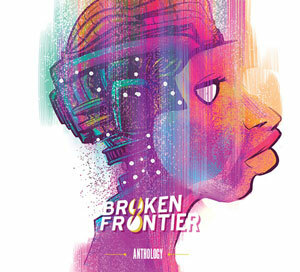 Your first short anthology Beginnings was an intriguing mix of styles and subject matter. What was the thinking behind the formation of the collective? My sisters and I had all been creating our own comics and following the independent comic scene for quite a few years before forming Big Brown Eyes. We talked about doing something collaborative for a while, but last year’s Bristol Comic and Zine Fair and Shake Bristol gave us the motivation (and deadline!) we needed to finally produce some work together, which was the point we formed our collective. We want our collective to both feature our own work and also aim in the future to showcase new talent – to help emerging artists like us to get a foothold in the small press world. But we’ll tell you more about that after the publication of our second zine! In terms of comics and zines what have you all published individually to date? And how do you feel your own styles and approaches to the page complement each other as a group? 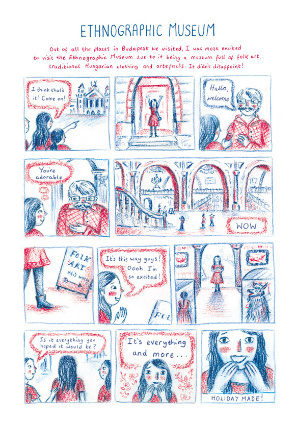 Outside of anthologies, so far I have published Dreamscape, Four Days in Budapest and Feel Better (a minicomic). 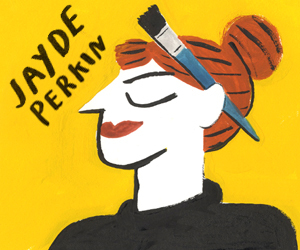 Karis has published Cats & Wine and Freya has published 4 ‘How To’ minicomics: Happiness – A How-To Guide, How to Be That Awkward Friend, How to Survive a Breakup and How to Make People Like You. We’ve all come from different backgrounds in art training and have different influences to our work, so what we produce can be quite varied. For example, I often take influence from existing narratives, particularly folk tales and mythology, whereas Karis’ work is often autobiographical and Freya takes a lot of her inspiration from fantasy. We each have our own technique and style when it comes to the media we use as well. I tend to vary between digital work and a mix of ink, pencil and dry brushing at the moment, whereas Freya loves using watercolour, and Karis is a Pro Marker fan! However although our styles and stories differ, we work together to find strong themes which incorporate our individual strengths as artists. This means our final product will be cohesive and work together even if our methods are different. 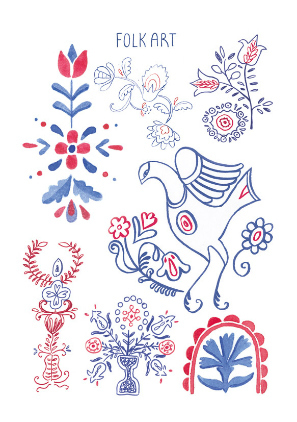 There is indeed a definite thematic throughline in your work with mythological and folkloric motifs abounding. Is that a subject area you have a particular interest in exploring on the page? Very much so! I’ve always been drawn to folklore, mythology and indigenous cultures. There is so much beauty and intrigue in mythology and I love exploring it through illustration. I usually use parts of a story to kick-start an idea, and then continue to adapt and rework it until it makes a strong, more original narrative. 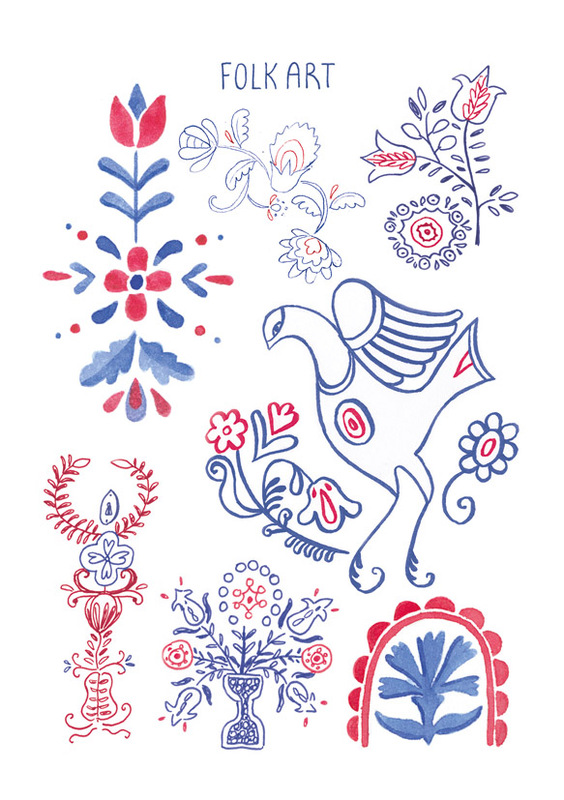 I often feature elements of pattern, clothing or landscape that are inspired by folk art in my work as well – my Four Days in Budapest zine provided the perfect opportunity to feature some traditional Hungarian folk patterns! I’m currently working on some more folklore-themed artwork, since our next zine for Big Brown Eyes will be all about different mythological creatures from around the world. Like a number of UK small press creators you have work in the upcoming latest volume of the Graphic Canon series. What text did you adapt and what were the challenges in distilling it down to a representative sample of the book? This was a project I was really excited and honoured to be a part of. Originally I was torn between several British crime novels from the list we were given, but in the end I chose to adapt Rebecca by Daphne DuMaurier (sample below), as I really liked the build up of suspense in the story before the crime and the powerful, pivotal scenes it has. Although these were scenes in the novel I knew would work well visually, the whole book is pretty dialogue-heavy, and as we were limited on the number of words (if any) we included, the main challenge for me was condensing the dialogue. Originally I was going to make the comic wordless, but I wanted to express the relationship between the protagonist Mrs De Winter and the sinister lady’s maid Mrs Danvers and without some dialogue as context I was struggling to get across that relationship. Compressing the novel into several linking scenes without trying to tell the entire story was also a challenge. 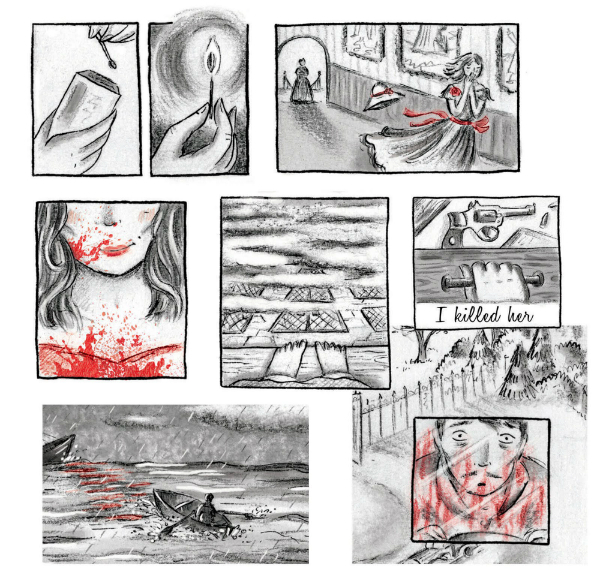 I decided to incorporate red elements in the black and white colour scheme to signify when Rebecca (who although dead, is the main character of the novel) is present in some form, and this created the flow and direction I needed to connect the comic pages together as one piece. Are there any other comics or zine projects you’re currently working on that you can tell us about? My sisters and I have started work on our next Big Brown Eyes zine which will launch at this year’s Thought Bubble and we’re also working on some new individual work. Karis is in the process of making a comic Monozygotic about a twin identity crisis, and Freya is working on some zines based on popular culture. At the moment I’m primarily focussing on creating work for our collaborative zine, but I’m currently working on a few things in my sketchbook that are more inspired by my everyday life, as well as some more folktale-inspired comics. Over the past year or so I’ve also been compiling a book of my grandad’s stories about his life growing up in the 1930s. He’s been a big inspiration to me throughout my life and has so many lovely (and sometimes harrowing) stories about his experiences working in the mines. This is just an ongoing project in my sketchbook in its early thumbnail stages at the moment that’s very much a labour of love, but eventually I hope to compact all his stories into a graphic novel one day. Much of your comics work has a very tight panel structure. 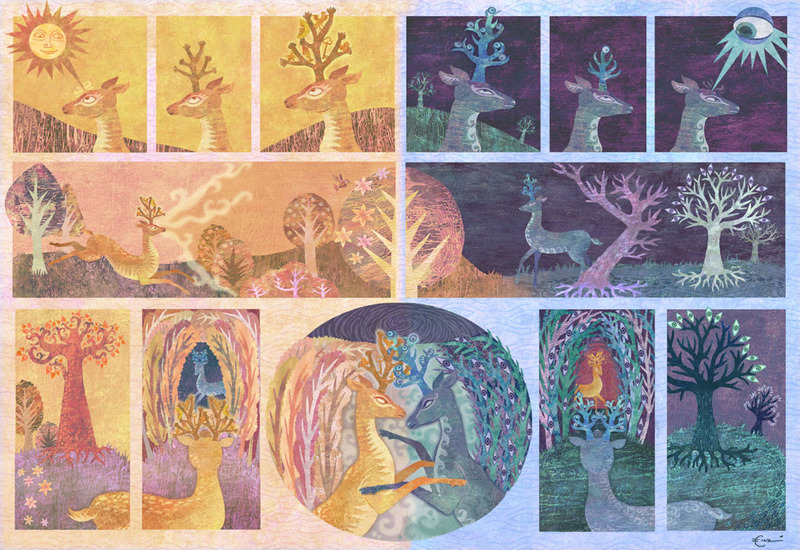 What is the appeal to you of that intricate approach to the page in terms of its storytelling possibilities? Some of my earlier work was a bit more experimental in terms of layout, but I’ve reverted back to more structured pages as I think keeping things contained in frames in a tight panel structure seems to suit my current way of working. I like to use a lot of detail and precision when I draw and the panels help contain that detail and help it become more readable. I often use the layout and flow of panels to guide the reader through different elements of the narrative, drawing emphasis on certain points and showing different perspectives of the same scene to immerse the reader and aid the telling of the story. I like to use symmetry and repetitive visual elements in my comics so having more of a structure to the page also helps direct the eye to those little details I want to bring out. Can you tell us a little about your artistic process and particularly your very considered and distinctive use of colour in some of your work? I spend a lot of time planning out a comic before I start, sometimes jotting down scripts first and then lots of rough sketches of various layout plans for each page. At the moment I’m experimenting a lot with layout and different media and for each comic I take a slightly different approach with what media I use depending on the story and subject. This also applies to my use of colour which can be quite sparse or saturated depending on the project. I’m really enjoying working in black and white at the moment and focussing more on my storytelling and style, but if I’m not working in black and white, I prefer adding just hints of colour or using a selective palette. I enjoy giving myself those boundaries to work within and seeing what evolves with those limitations and find that sticking to a palette or using selective colour can help direct how the eye is lead through the narrative and highlight or put emphasis on certain parts in the story which are perhaps lost a little in my purely black and white work. How much of a boost was winning the Thought Bubble Comic Art Competition and being published by Image Comics in the 2015 Thought Bubble Anthology (sample below)? It was the first competition I’d won for any of my illustration work and the comic was one I was really proud of in terms of its story and sentiment, so I was of course thrilled to have won and be published in the anthology. To be alongside so many artists I admire such as Dan Berry, Lucie Ebrey, Kate Beaton and Kristyna Baczynski was amazing and I’m really honoured to have been included amongst them. It was a real boost in confidence seeing my work printed in such a great anthology, and it means a lot to come from winning my first competition with Thought Bubble to be exhibiting my own self-published work at this year’s festival alongside more awesome comic folk! I think my main goal is to produce more work this year! I have a lot of unfinished and half-sketched ideas that I’d like to complete and make into something, and I’d love to have a more consistent flow of releasing new work eventually. I’m still very much experimenting with my comics and discovering what works/what doesn’t with each one and developing my style and storytelling, so I’m just enjoying that process at the moment and seeing how my work evolves with each project. As well as Thought Bubble I’m hoping to take part in a few smaller comic fairs this year. I really love the atmosphere of small press fairs, and meeting new people, and exhibiting at them is something I definitely want to start doing more frequently. For more on the Big Brown Eyes Collective visit their tumblr here and their online store here. You can follow them on Twitter here.